In what can be a volatile business, generating new leads and sales is a great concern for many marketing agencies. Many of these firms stick to the same tactics without exploring different, potentially lucrative channels. It’s important to put resources into a number of different channels where future clients may be uncovered. An oft-untapped growth driver is strategic partnership with other agencies and technology partners. Direct marketing is a great way to reach new customers, keep existing customers engaged with your brand, and drive sales. In fact, a full sixty-six percent of customers make a purchase as a result of email marketing, ninety-two percent of shoppers say that they prefer direct mail when making purchasing decisions, and sixty-eight percent of B2B sales involve human interaction such as telemarketing. 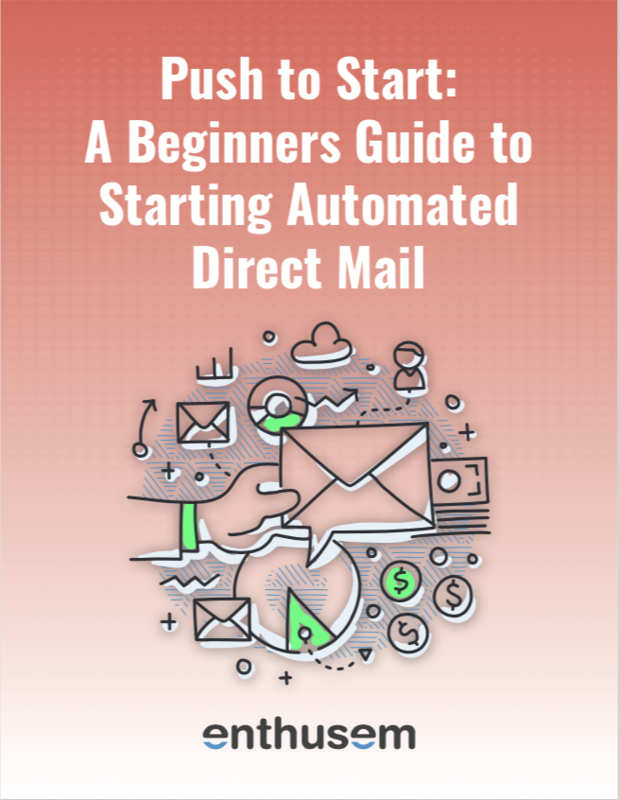 TAMPA, Fla. (PRWEB) May 24, 2018 Enthusem has joined HubSpot’s Apps for Agency Services program, instantly giving HubSpot Agency Partners access to direct mail automation right from HubSpot workflows. The program allows HubSpot Agency Partners to leverage Enthusem’s direct mail automation technology for their own marketing efforts while adding a new product to their agencies’ offerings. “Digital agencies produce great content for their clients, but are struggling to get eyes on it. They’re quickly realizing the untapped potential of the offline channel as an effective way to drive traffic to that valuable content,” said Angela Medlar, director of technology at Enthusem. Enthusem, a hyper-personalized, offline to online marketing software company based in Tampa, Florida, was selected as the winner of the AMA Marketer of the Year award in the Direct Marketing category for their creative work with SnackNation, a healthy-snack delivery service. Tampa, Fla— Feb. 28, 2017 — Enthusem has announced that its offline-to-online marketing software has completed its HubSpot certification process and is now a certified HubSpot Connect Partner, just two weeks after being invited into the HubSpot Beta Integrator Program. Angela Medlar, Enthusem director of technology, said, “The demand for direct mail, personalized at scale and automated from HubSpot, has been so high and our integration is so easy to set up that we graduated to the certified [HubSpot] Connect Program much faster than we expected.” The qualifications for the HubSpot Connect Program include 50 mutual customers connected to the integration, signifying a need for the integration, and survey results from those customers, showing that the integration is valuable and easy to use.